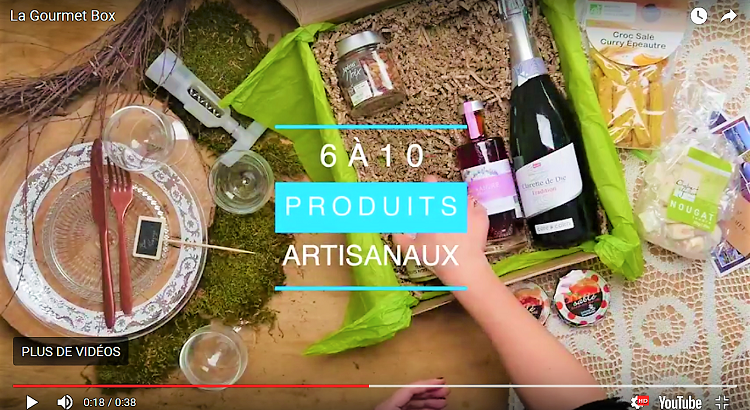 A delightful food gift basket with the best ORGANIC products from France! Our gourmet boxes are always filled with products made by small-scale local artisans with the utmost respect for the environment. In fact, eco-friendliness is one of the three criteria on which we base our choice of culinary artisans, along with quality and flavour. But for this special box, we decided to go one step further and create a selection of exclusively organic products from among the countless delectable discoveries we’ve made in our travels across the French countryside. A 100% green, organic gourmet hamper with the best of every region we’ve visited, so you can throw an eco-friendly hors d’oeuvres party (or parties!) and sample our tastiest, most authentic culinary finds. Or, as always, you can make it a gift and personalise it with your own words. 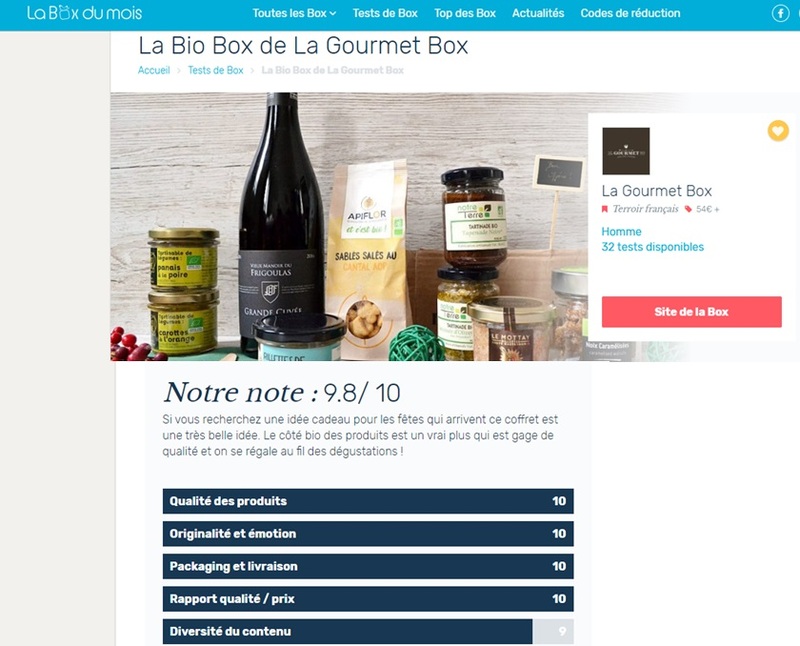 La Gourmet Box BIO BOX, a delightful food gift basket with the best ORGANIC products from France! We made our way to a village called Madic, on the border between the départements of Cantal and Corrèze, where we met an artisan who makes delicious organic traditional biscuits in bronze moulds. Genuine Cantal AOC cheese is added to the biscuit dough for a truly unique flavour. Ideal for nibbling with a glass of wine from your gourmet box—a crisp gourmet treat! This artisan has brought back the true flavour—and what flavour!—of pork, unfairly considered an “unrefined” meat by some. 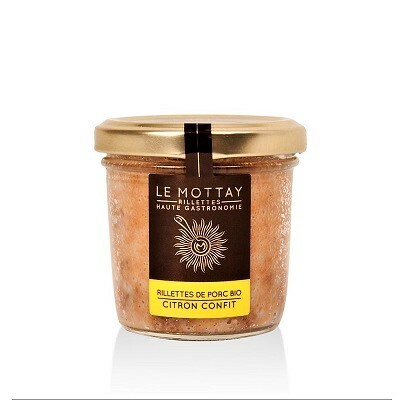 Choice pork cuts (shoulder, belly and fatback), a dash of Guérande salt, and a pinch of white pepper, slowly cooked for fifteen hours in a traditional cauldron, give their rillettes a tenderness and flavour that’s out of this world. Indulgence and elegance go hand in hand in this sweet-and-sour recipe that combines old-fashioned, all-natural pork with candied lemon. A magical experience for the most discerning palettes! Enjoy this addictive- and preservative-free meat spread on a piece of fresh or toasted bread to savour its full-bodied flavour. 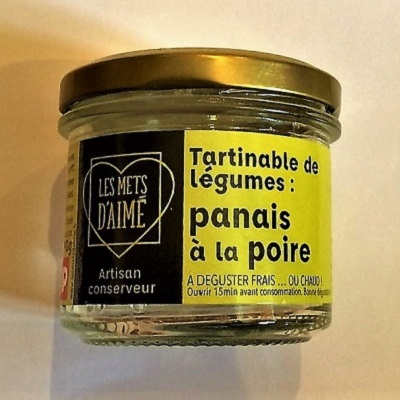 Artisan: Conserverie artisanale Notre Terre. 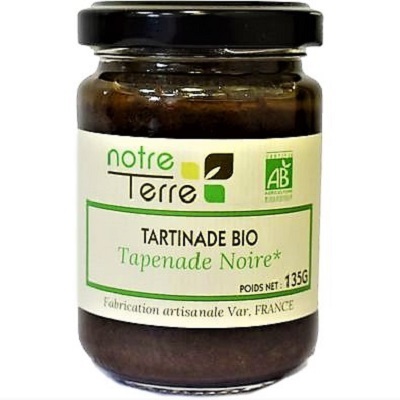 In this recipe, our artisan brings out the authentic taste of black olives by using traditional methods to turn them into a delicious tapenade made with all-organic products (capers, garlic, lemon juice, hot pepper and, of course, olives). Enjoy this unique flavour spread on toast, use it to dress up a savoury pastry or prepare stuffed rabbit... the possibilities are endless! This subtle combination of green olives and almonds yields a very smooth spread with a fresh, delightfully “olivey” taste. And knowing it’s organic and that olives have all sorts of health benefits, you can enjoy it without compunction when you smear it on toast for an afternoon snack, use it as a roasted fish filling, or add a dollop to your favourite pastry. Seafood lovers, this one’s for you! 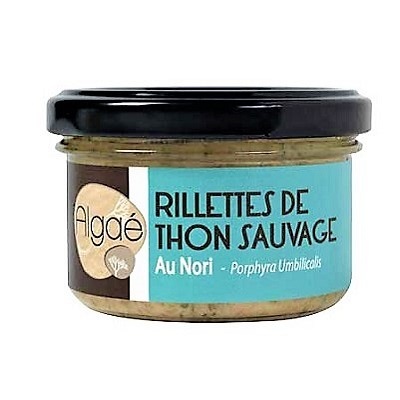 You’ll love this subtle, smooth, lightly salty spread, where nori seaweed delicately enhances the wild tuna flavour. 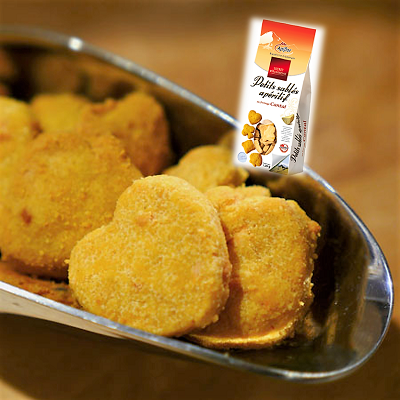 A gourmet delicacy, ideal as a snack on toast or blini or as an entrée in a seafood salad. An ancient root vegetable recently revived by organic farmers, parsnip—which resembles a pale carrot—is combined with pear in this highly original, terribly tasty recipe. A surprisingly delicious blast from the past! Serve as a cold snack spread on toast or as a warm dip—the choice is up to you. Our artisan works with local organic products, always putting a premium on quality and originality. 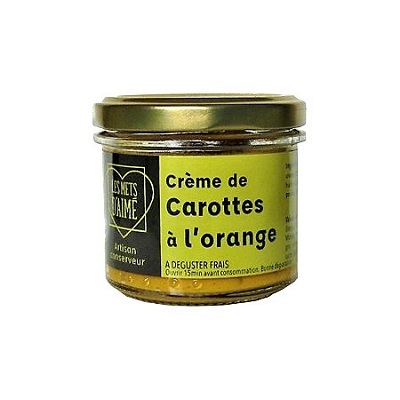 This particular recipe is a smooth blend of perfectly seasoned carrots and a hint of orange flavour. Organic produce fans will go gaga over this amazingly delicious discovery! At this small shop in Guérande, a town in southwest France famed for its butter and salt, every product is made using traditional methods and all-natural local ingredients. Nuts are the common denominator in every recipe, but they add sugar, caramel, spices or condiments to create a wide range of flavours and textures. For our box we chose organic caramelized cashew nuts seasoned with Kâmpôt pepper for their originality (a change from the more conventional cashews), surprising taste (the pepper-sweet contrast is outstanding) and super-extra-crunchy texture. These sinfully delicious morsels are too tempting to resist. At La Gourmet Box, we're all about thoughtful details, which is why we've tucked some surprises among these delicious organic products to make your feast of French delicacies truly memorable! Starting with a few little surprises to accompany you in your tasting of our organic French gourmet basket. Bon Appétit with our Organic Gourmet Box! 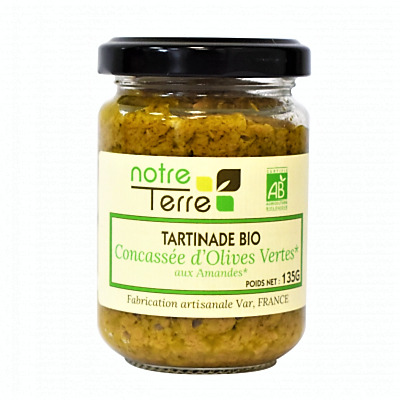 Une très belle découverte que ce panier gourmand bio ! 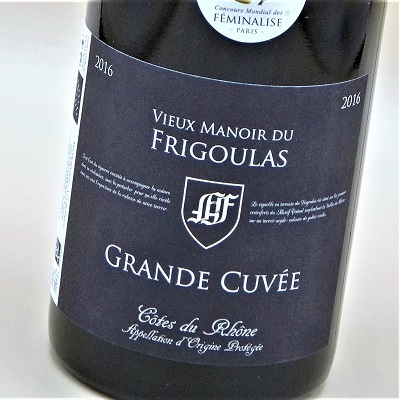 Très belle présentation générale et les produits bios sont un délice. 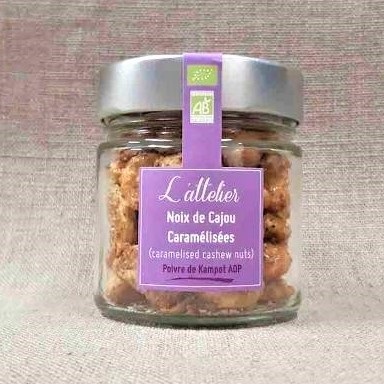 Les petites noix caramélisées, le tartinable au panais (honnêtement je ne savais pas ce que c'était...), les rillettes et j'en passe : j'ai tout aimé dans votre coffret. Bravo !